You can see the current and previous bulletins by selecting your week from the drop down menu (the current week is the default). See the image below to see an example. Click the drop down menu, select your week and click "Go"! St. Michael the Archangel, defend us in battle, be our protection against the malice and snares of the devil. We humbly beseech God to command him, and do thou, O Prince of the Heavenly Host, by the divine power, thrust into hell satan, and the other evil spirits who roam through the world, seeking the ruin of souls. Amen. Encourage your friends and family to say the "Prayer to St. Michael" for the protection of us all and especially for the protection of the Church and the Holy Father! Shop-Rite gift cards are always needed! We appreciate you using the gift cards to purchase perishable items! When you buy a Shop-Rite gift card, you get the full value of your purchase - if you buy a $100 gift card, you can purchase $100 of items! However, the use of the gift card still helps the church! Please purchase a Shop-Rite gift card to help St. Anthony's! You can even donate a Shop-Rite gift card to help those in need!!! Pope John Paul II officially set "The Divine Mercy" as a key celebration in the Church's calendar year. The Feast of The Divine Mercy occurs on the first Sunday after Easter. We keep this message here to remind everyone throughout the year that the message of Divine Mercy is simple and clear - that God loves us, each and every one, totally and unconditionally. He wants us to know that His Mercy is greater than our sins. He desires that we call upon Him with trust, receive His Mercy, and let it flow through us to others so that all may share in His Divine Mercy. We can continue to participate in the Divine Mercy all year round by reciting the chaplet and praying the novena. The Divine Mercy Feast began with the amazing story of a young Polish nun, Sr. Maria Faustina Kowalska (now Saint Maria Faustina Kowalska), who for a lengthy period of time prior to her death in 1938, received revelations from our Lord, Jesus Christ. Also, the inspiration and efforts of Pope John Paul II promoted devotion to The Divine Mercy. 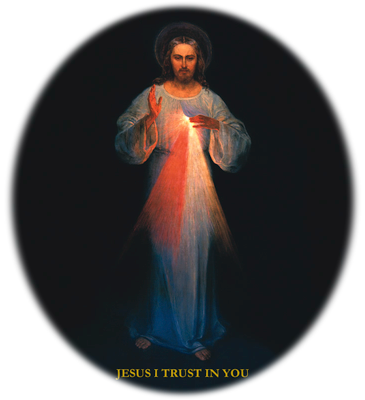 For more on the background of The Divine Mercy, and how to recite the novena and chaplet, click here to go to the Marians of the Immaculate Conception web site. Also, you can view the St. Anthony's newsletter that featured the story of The Divine Mercy, including how to observe the Feast and the prayers for the novena. Click here to access the newsletter (PDF). We are always in need of help to stock up our Food Pantry for those in need! You can drop them at the Rectory and we'll take care of the rest! Peanut Butter, Jelly, Cereal (adult & children's), Veggie Sticks, Veggie Chips, Cinnamon Applesauce, Tuna Fish, Apple Juice, Juice Boxes, Dish Detergent, Hand Soap, Shampoo, Deodorant, Q-tips, Body Wash, Baby Wipes, Toothbrushes (soft), Toothpaste, Toilet Paper, Paper Towels, Tissues, Paper Plates, Paper Cups, Napkins, Laundry Detergent, Fabric Softener, Cleaning Supplies, etc.! You may leave these items in the baskets (or next to the baskets under the tables) in the FRONT VESTIBULE OF THE CHURCH; OR you are welcome to drop off these items at the Rectory Monday thru Friday from 9:00 AM to 3:00 PM. We are very grateful for any help you can provide!! !